Highroller is another new casino to come to the internet in 2017. It comes with an ultra modern funky style interface, that is easy to navigate. The site has been built for fun and has lots of choice in the game offerings. Highroller has a story theme to it, boosting player interaction and enthusiasm. There will be no reason for a player here at Highroller to get bored. Not with over five hundred games for them to choose from. The slot games up for play are really diversified in what they have to offer. There are the classics for those who want to enjoy gameplay on the fruit machines. Then many have extra bonuses and free spins. For those who want to take their chance with the jackpot slots, there are several to choose from, with some massive prizes attached to them. For those who enjoy the table games, there is a good selection of these. There is roulette, blackjack, baccarat, and a good selection of card games including poker, of course. There is undoubtedly something for everyone, ranging from small bets to high roller ones. What many new players, as well as the older ones, find impressive here, is the live casino section of the Highroller Casino. The live casino tables consist of blackjack, roulette, poker and other card games, baccarat and the Big Wheel. Highroller has taken all the right steps to accommodate their players on the go. They have done this with their mobile version, which is compatible with most mobile devices. 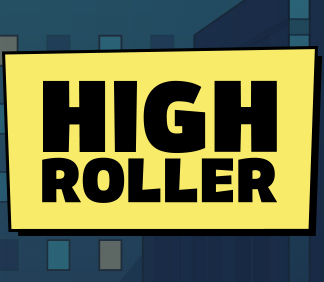 There is full access to the more than 500 games at Highroller through their mobile version. Highroller Casino has chosen to keep their deposit options simple, but with the most well known, which are Mastercard, Paysafe, and Visa. The withdrawal options are comprised of the same, with bank wire transfers also being offered. The withdrawal times will vary depending on the method. It can take from twenty-four hours up to seven days. There is an option to use three types of currencies, which are euros, US dollars, and pound sterling. Highrollers is pleased to be able to support several languages, which are Swedish, Finnish, Norwegian, German and English. Highroller provides support through email as well as they have 24/7 chat. This casino also has a good FAQ section that is most helpful. The EU players are protected with the Malta Gaming Authority, along with the UK Gaming Commission licenses that Highroller have been given. Personal data is protected through extensive encryption. The name Highroller has been partly based on the ability to make large withdrawals. Most find this casino site one that brings them the pleasure they are expecting from an online casino. It would certainly be better if they had more deposit options, as there are some who would like to play, but don’t have the deposit option to do so.